« Happy Easter from 1910s Dublin – cabinet card by the Stanley Studio featuring stuffed rabbits! By the late 1850s, according to Priscilla Harris Dalrymple’s Victorian Costume in Early Photographs, it ‘was becoming fashionable to close only the top button of the coat,’ whilst trousers remained creaseless and without turn-ups. 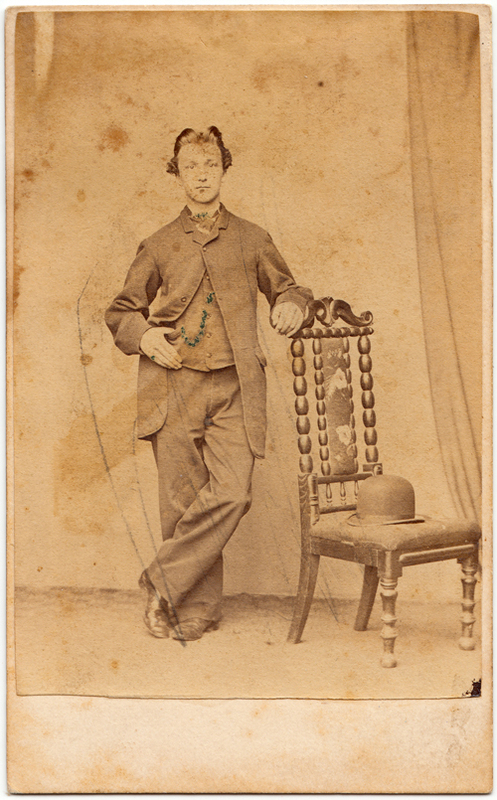 These trends were certainly adopted by this young man who had his photograph taken in the little-known studio of I.J. Rice in the town of Mallow, County Cork, ca. 1860. This image may well be the only surviving evidence of Rice’s output. 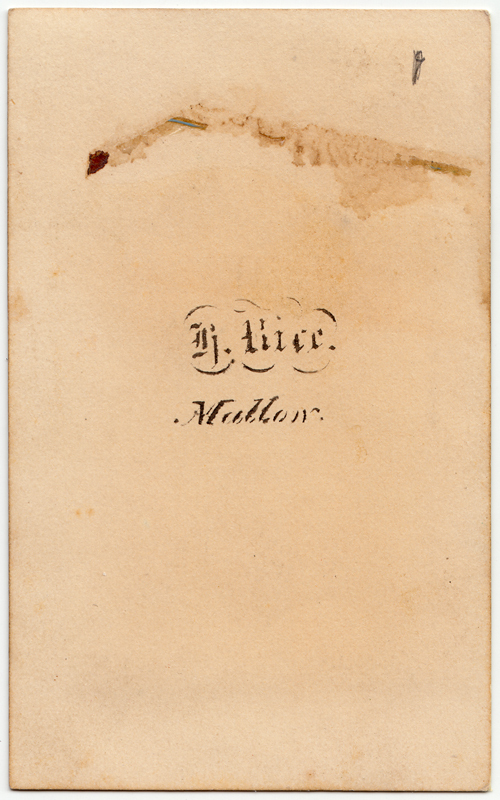 The card’s straight-edges and plain stamp indicate that it is an early example of the carte-de-visite process. I love the nonchalance of the man’s pose and even though the image has been damaged and marked over the years it is still possible to make out his distinctive attire and striking hairstyle. His lacquered hair is parted on both sides and piled up high in the middle. His watch fob, bow tie and pinky ring have been crudely highlighted with green ink. His bowler or derby hat rests on the ornate studio chair which contrasts with the plain backdrop. This image and indeed his pose bear an uncanny resemblance to another photograph from my collection. 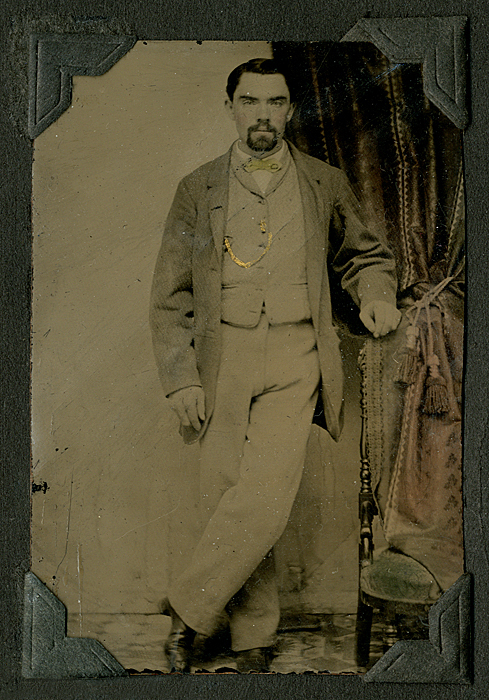 The portrait below originated in an Irish-American album and is an example of the tintype process which was favoured in the United States. Although separated by thousands of miles, both men are dressed in a very similar manner.